Right from the day dot, even before Paddy Power first took their sports betting brand online, they have continued to be doggedly different and this in a way is the secret to their great success. By the time their casino and bingo sites went live online, this operating culture was firmly entrenched and their quirky ways work incredibly well with online bingo players. For example a picture of the pet of the week is posted at the site and this week it just happens to be the cute and cuddly Milo the gorgeous Tortoise! Winners earn a fiver for their efforts. 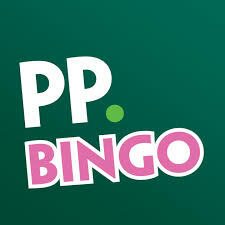 The new edition of Bingo Power has been released; this is the emagazine for Paddy Power Bingo and there are hosts of interesting, funny articles and news in this months' edition, plus tons of ways to win more, with some great interactive competitions! Want to know why red wine is good for you? Find out at this bingo site, then top up your glass with your favourite plonk and enjoy a good game of bingo. Not only is red wine (it must be red) good for your health in smallish but regular amounts, so too is laughter, and bingo is good for the brain, so mix all of these three up together and you will be in for a pretty good time. Check out all the great promotions at this site and you will want to be a new member too, sign up and they give you £20 free when you make a deposit of just £5!